Karen Allgire has dedicated her career to the exploration of body/mind education and awareness. She started teaching dance in 1983 and yoga in 1998. 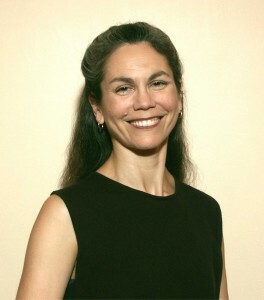 Karen is an Intermediate Junior III Certified Iyengar Yoga Teacher. She is deeply grateful to her Iyengar Yoga mentors, Mary Dunn and Dean and Rebecca Lerner. With her husband Cliff Berns, Karen co-directs Green Tara Yoga & Healing Arts, located in Cleveland Heights, Ohio. The studio offers yoga in the Iyengar tradition and hosts senior Iyengar teachers for annual workshops. I like this way of sharing your trip. Thanks! It is so hard to convey the wonderfulness and craziness of being there. I was there in June and am missing the daily routine and being steeped in yoga. But am not missing the noise of Pune. Tell Nana hi! It will be great to share expereinces and teachings when you get back!